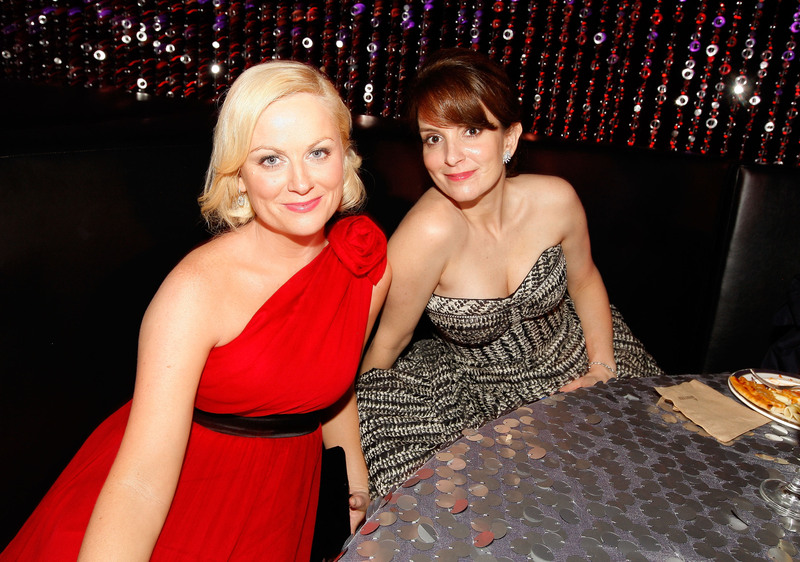 Maybe if we close our eyes and wish really hard Tina Fey and Amy Poehler will open the next Golden Globes — or the one after that, considering they're hosting both — with a rendition of the song "Money" from Cabaret. Why? Because the exact numbers at play for Poehler and Fey's Golden Globes deal have been revealed, and it's some nice chunks o' cash. The number is $4 million each, to be precise, with the added bonuses of full use of NBC/Comcast's private planes for traveling to and fro' when it comes to prepping for the event, and something called "full freight" for their entourages, which sounds nice and snazzy. It makes sense that NBC would want to keep these ladies happy — not only were they (one still is) the faces of two of their most critically acclaimed shows in years, but they also boosted Golden Globes ratings by 28 percent last year. The result: Ca-ching! Usually we roll our eyes with jealousy and skepticism when it comes to learning the exact details of the sheer amount of money thrown around in the entertainment business, but this is Tina Fey and Amy Poehler, and our great need to see them happy and pampered is definitely winning out on this one. Give the ladies what they want! Golden night cheese for everyone!